Ideum's new 34" successor to the original widescreen display has 3440 x 1440 resolution, a bezel-less design, an all-aluminum case, and supports up to 40 touch points. In 2014, Ideum designed and built a custom 38″ ultra-wide screen multitouch display with an LG stretch monitor. These reading rail displays were originally developed for the Field Museum in Chicago , which has 80 displays in various places throughout the museum. We’ve also used these unique touch displays for creative projects with Mystic Seaport, Museum of Contemporary Native Arts, Milwaukee Public Museum, Lowell Observatory, and others. Now that the 38″ LG monitor we used in our reading rail system has reached end of life, we’ve created a new 34″ model with improved 3440 x 1440 resolution. On a 34″ display, this near 4K UHD resolution is phenomenal and provides a retina-like visual quality. 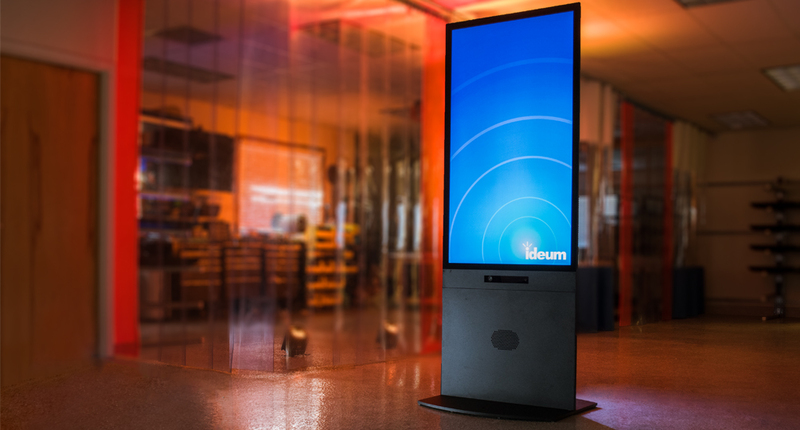 Ideum’s new 34″ successor to the original wide-screen display has a bevel-less design, an all-aluminum case, and supports up to 40 touch points. We are using the 34″ model for a project with the Smithsonian National Portrait Gallery that will debut this fall. Its unique widescreen format and small footprint is a great fit for the exhibition. 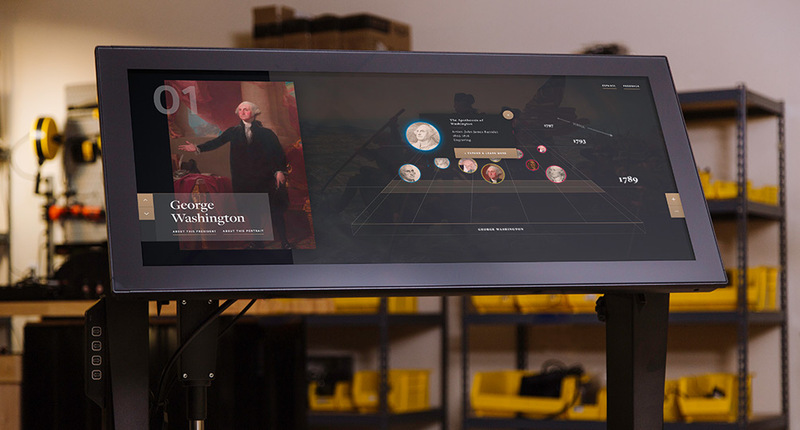 For this interactive exhibit, we are collaborating with the National Portrait Gallery on software development and the design of custom kiosks that integrate the new 34″ display. 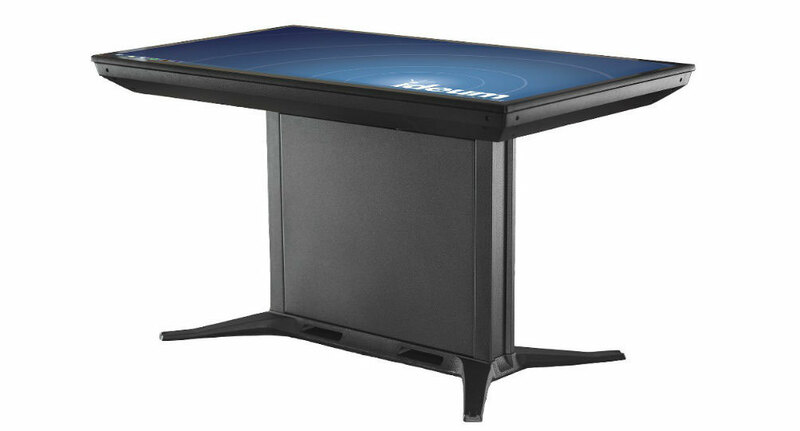 In the meantime, Ideum will be offering these 34″ ultra-wide displays for purchase. Please contact our Sales group for more information. We will be sharing more details about our exciting project with the Smithsonian National Portrait Gallery closer to the opening of the exhibit.